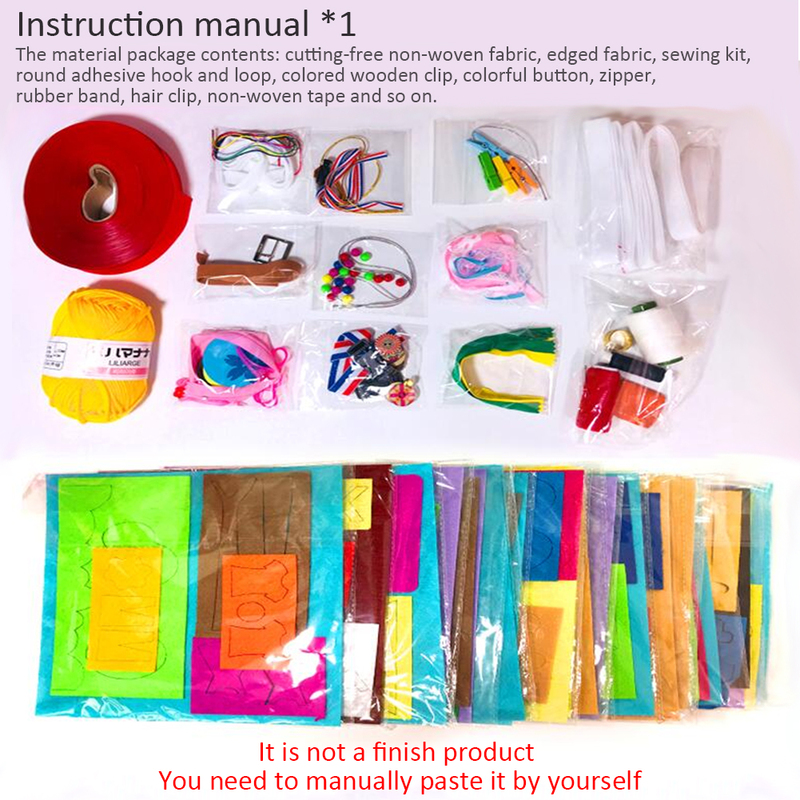 The material package contents: cutting-free non-woven fabric, edged fabric, sewing kit, round adhesive hook and loop, colored wooden clip, colorful button, zipper, rubber band, hair clip, non-woven tape and so on. shapes and numbers recognition, hands training, strap buckling, shape puzzles, bows tying. Children’s washable cutting-free cloth book material package need to be manually pasted by themselves. It can be washed with water or baby hand soap and hang up to dry. Do not machine wash or use detergent.